LinkedIn isn’t perfect for every business. But if you’re marketing primarily to other businesses, it can be an indispensable marketing tool that shouldn’t be overlooked. A while back, the platform introduced LinkedIn Pulse, an easy and convenient way to publish content on LinkedIn. You can use Pulse as part of your own content marketing strategy, and even build up a sizeable following. There are a number of kinds of content you can post, but one option is to post detailed, in-depth content specifically relevant to your niche. You can syndicate existing content that’s already been published on your blog, or you can create new, original content specifically for LinkedIn. 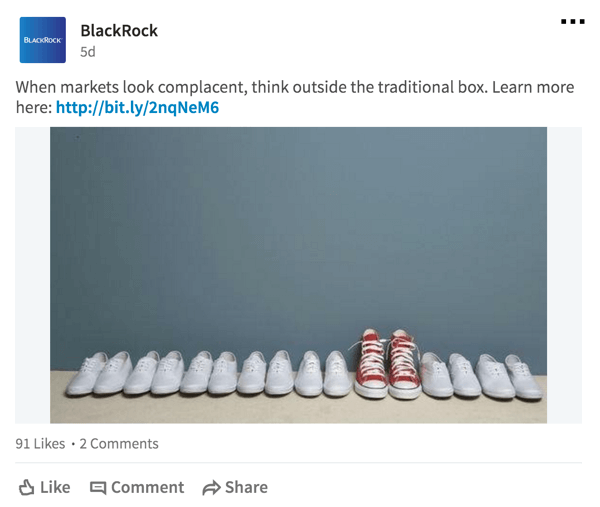 A recent post from Social Media Examiner presents a small case study from BlackRock, a financial services company with over 330,000 LinkedIn followers, and millions in revenue from LinkedIn alone. 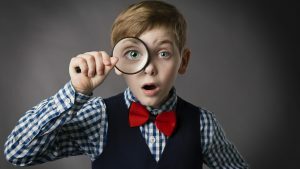 By focusing on advanced topics, rather than surface-level general beginner content, they’ve been able to add a lot of value for their audience. BlackRock shares a lot of content about their industry: investment. Most of this content is from their own blog. This strategy works because instead of sharing the same old content everyone has written a thousand times, BlackRock focuses on advanced topics like non-traditional asset classes. Don’t just do the same old thing that everyone else is doing. Offering more depth and detail, and focusing on advanced knowledge, can give you a serious edge on LinkedIn. You can find more LinkedIn marketing case studies over at Social Media Examiner.